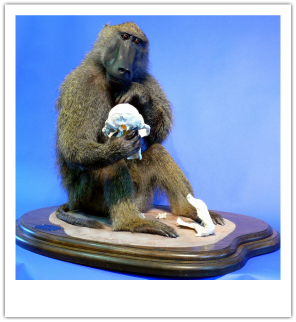 The restoration of a specimen can only begin after an in depth study of the live animal helped by references such as photos, videos and moulded parts. The ways of life, habits and other characteristics of the subject, inspire scenes of daily rituals with an artistic touch. Using personal techniques and the best quality supplies gives the specimen an exceptional craftsmanship and will proudly be passed on to future generations.